The Department of Finance has said it’s confident no rules have been broken – but won’t rule out a legal challenge if findings are negative. THE EUROPEAN COMMISSION has launched an official probe into whether Ireland broke rules on state aid as part of a tax deal offered to Apple. The company may have gained a “selective advantage”, the EC said. The investigation will focus on transfer pricing, which is the price charged for transactions between different parts of the same company. In the current context of tight public budgets, it is particularly important that large multinationals pay their fair share of taxes. It is thought that the initial investigation could take up to two years, with further legal challenges to an adverse finding dragging it out to a timeframe of four or five years. In a statement this morning, the Department of Finance noted the decision by the EC, and said that it is confident it hasn’t broken EU rules. There has been significant attention on how Ireland taxes multinational companies operating in the jurisdiction, with particular focus Apple as both the G7 and other supranational bodies seek to clamp down on corporate tax avoidance. The Department didn’t rule out a legal challenge if there is an adverse finding against Ireland at the end of the investigatoin. The issue being investigated is not Ireland’s corporate tax rate in general, it said, but rather the individual deal that was struck with Apple. In addition to investigating Ireland’s involvement with Apple, Brussels is going to run the rule over how The Netherlands taxed Starbucks and a deal between Luxembourg and car manufacturer Fiat. 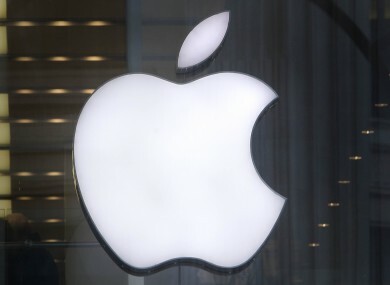 Email “Brussels launches probe into Ireland's Apple tax deal”. Feedback on “Brussels launches probe into Ireland's Apple tax deal”.